Discussion in 'Freshwater Fish and Invertebrates' started by BlackOsprey, Apr 11, 2018. My brother still hasn't come up with a name, but my god, this little guy is so freakin' cute!! 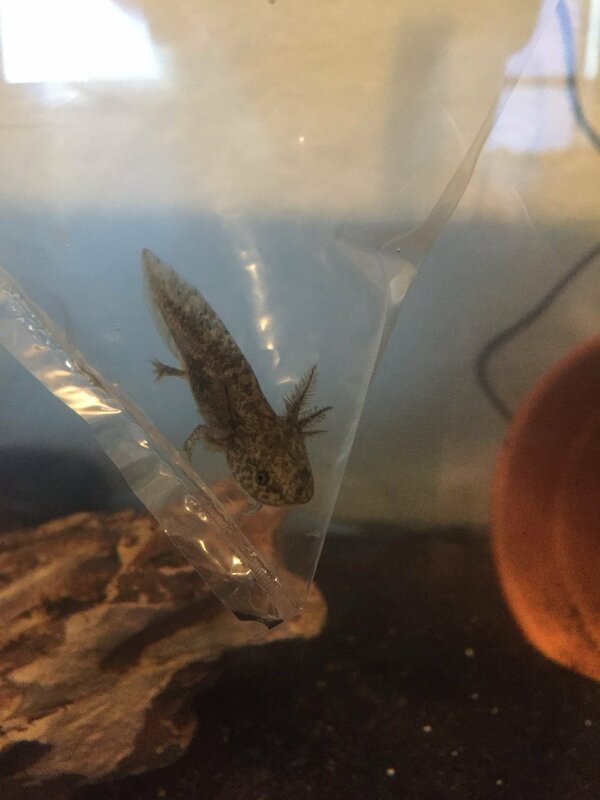 It's kinda funny that such a little critter gets such a big aquarium all to himself even though I know the size he'll eventually grow to. We're hoping that we'll be able to keep the temperatures down during the absurdly hot Texas summers. We got aquarium fans on the water but I guess we'll get a chiller if absolutely necessary. Cute! Axolotls are adorable, I’ve always dreamt of getting them, I’m never aloud to get one though because ‘they look like fetuses’, but I digress. Congrats on the gil baby!